There are many dimensions to the value of food in our lives; we are spotlighting food as an economic issue as this is an area getting less attention than other dimensions. We will consider the implications of wider changes for example; food prices are likely to escalate in coming years and the nature of work and its value is changing. We recognise that no dimension can be separated from others; we need a whole system approach. We will focus on how we can rapidly stimulate availability of enough food in the region which is safe, affordable, sustainable, healthy and available for local consumption to make the big difference needed. Who will be at this workshop? People with all sorts of relationships to food including growers, eaters and sellers, activists, ‘professional foodies’, academics and others. People who are interested in a viable economy and /or sustainable food. People who are curious to know more about where what they are doing fits into the jigsaw of ensuring food in this region is affordable, locally produced and sustainable. multiply the impact of current brilliant food related work to ensure enough affordable, locally produced sustainable food is available. The workshop will be draw on all participants’ strengths. It will include 3 minute presentations and group work to familiarise participants with what we are all doing. Together we will develop priorities and agree how to make them happen. What difference will a viable food economy make? In the first instance we may need to identify ‘quick wins’ to get politicians, businesses and housing trusts on board. What should they be? 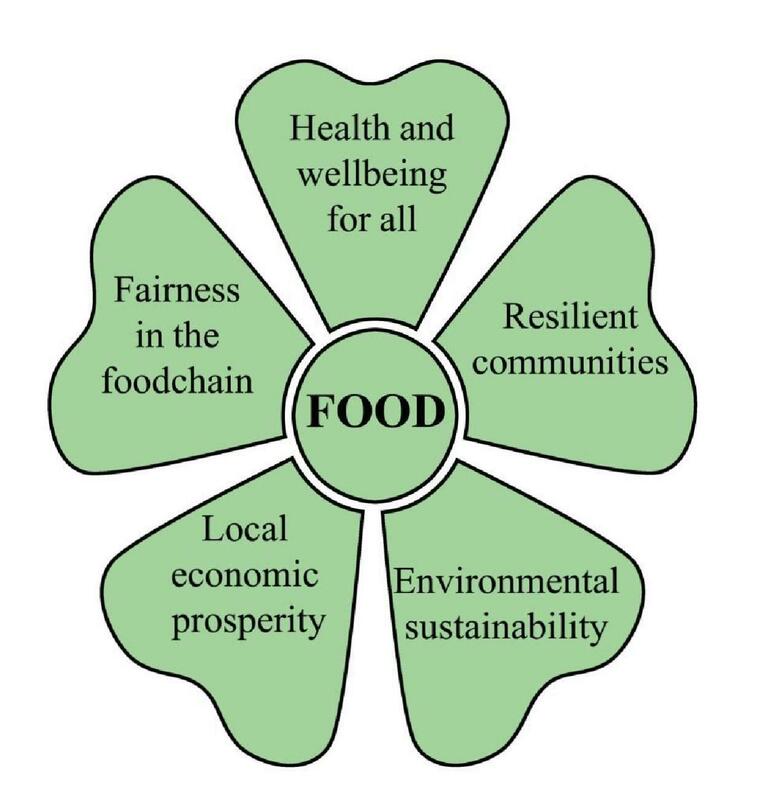 Do we need a shared vision of what a viable food economy for Greater Manchester looks like? What food would we be eating – meat, dairy, cereals….? What kind of economic production? To what extent will food be produced by households, communities, small, medium and large scale enterprises? What does this mean in terms of what work may look like? Cost and access issues – how will food be distributed? This entry was posted in news and tagged "A Certain Future", bioregion, community economic development, economic localisation, Judith Emanuel, re-localisation, sustainable food, transition. Bookmark the permalink.